Community Centre with lots of free parking. 1 of 2 function rooms upstairs - Available to hire. The building work on our Community Centre is going well and on schedule. It will be ready for use in the Spring and we plan an open day and official opening in early May. The new library is part of the complex, and a grand affair that section is going to be. We have managed with a small library for so many years it will be a delight to have a modern 'state of the art' facility offering us all extra services. A great shot of the New Community Centre - taken by a drone from Nathan Clarke. The build of our new Community Centre is well under way and if you have time to walk into Sandy Hill Lane you can see the progress for yourself. If all goes to timetable plan we should be using the new facilities next Spring. Those new residents recently moved into Moulton may not be fully aware of the opportunities the new centre will provide: there is provision for a new self contained library to replace the one in Doves Lane; two large halls will be available for hire, in addition to smaller meeting rooms; a playgroup facility; a cafe open each day; parish office and further office space with sufficient parking to accommodate multiple use at any time and maximise building usage. We are already well into drawing up our business plan and enquiries for bookings have already started. Further information can be obtained from the Parish Council Office. More on the progress later in this issue. Builders have been on site since May 2016 and we are pleased to report that the site is being levelled and the foundations are going in. The first site meeting was held on 22nd June 2016 and here are some photographs showing progress so far. We are pleased to tell you that the project is on track for completion in Spring 2017. After a rigorous tender procedure, carried out by our Project Managers, Steele and Bray have been awarded the contract. Plans for the building and updates can be found here on our website. If you or your group would like more information, please contact the Parish Office. We have news on the progress of our new community centre. As you will have noticed from the recently distributed leaflet, all planning requirements have been approved and we have completed the process of identifying costings prior to beginning building work. We have secured the necessary loans needed for this project you will be pleased to hear, and building work should be starting as you get this issue of the Scene. This new centre will include a new enlarged village library, a café, one large hall, a smaller hall that can be joined to the larger one for big events, a youth room, police room, and all the other usual facilities. Completion is scheduled for Spring 2017. The new Doctor's surgery is still an ongoing project being carried out in partnership with the local practice. We have the land and the funding has been agreed by the NHS in principle once all the viability checks have been carried through. My thanks must be made to all my fellow Councillors who work as a team to serve this community. They have worked hard on your behalf over the past year and I thank them on your behalf. I also thank the clerical staff dealing with the administration of all the Parish Council work. We have a talented team and are fortunate indeed to have people with such a love of the village working hard on our behalf. There are still many new ideas to be developed for the benefit of our community and we need a lively, hard working Parish Council that will serve the needs of our village, and interested villagers keeping us on our toes with ideas and encouraging support. Great progress is being made on the new community centre project. Since my report in the last Moulton Scene, project managers have been appointed – a local company called Peter Haddon and Partners. Slight amendments have been made to the original planning application and this is currently the subject of a 'variation of conditions' application to improve on the original specifications. As you can imagine a considerable amount of work is now underway to bring this project to fruition. As previously indicated, the build cost has been estimated at £2.3m. Part of this cost is offset by £400,000 from Northamptonshire County Libraries towards the capital build. We are in negotiations with NCC Library Service to provide a long term lease for the library in return for this contribution, thus safeguarding the future of the library service in Moulton. Through negotiations with housing developers, we have managed to secure £1.8m (to date) towards the build of the centre via what are known as Section 106 monies. We still continue to investigate all avenues of grant funding and lease arrangements to support the build and maintenance of the centre. These monies will be paid to us over a period of approximately ten years when certain 'triggers' are reached on each housing development. 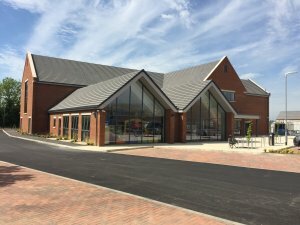 As already indicated, and knowing the money will be forthcoming over time, Moulton Parish Council has taken the decision to take out a loan to deliver the building at the start of 2017 so it will be available for the whole community to enjoy the new, purpose built facility with dedicated parking. We have received advice from Senior Finance Officers at Daventry District Council and from the Northamptonshire County Association of Local Councils as to how to finance the build. Lease agreements are in the process of being agreed, and discussions begun over the many services at the new community centre. A Public Works Loan Board has been applied for and will cover the cost of the build. To cover the loan repayments, residents will see a rise in the council tax portion paid to Moulton Parish Council next year. (This year saw a 4.3% decrease on council tax.) As the S106 monies begin to be handed over to the parish council, these monies will then be used to repay the loan. In real terms this will mean an additional £6 per month if you pay the full council tax and your property is classed as a Band 'D' property. For smaller properties this monthly increase will be less and for larger properties it will be slightly higher. The calculation will be based on how many properties are in the village, how many elderly residents we have and how many households we have claiming council tax discounts. The number of completed properties continues to increase and residents will start to see a decrease in their council tax payments over the next few years as the council receives capital sums to repay the loan and the council tax will be distributed over more properties. The decision to increase the council tax is one that has not been taken lightly, but you will be aware that we have struggled for many years with parking problems at our current location, many village groups leaving the village as they cannot park at the hall and a loss of family parties and weddings as the bar and lounge area is no longer available. We have a once in a lifetime opportunity to deliver this building using contributions from developers to build this and provide for our future. We have so many plans for the use of the new community centre, from creating space for a playgroup, to a cafe that will provide a meeting place for all residents, a daily luncheon club and several rooms that can be hired by our village groups. It is the largest project the parish council has ever undertaken and we are working hard to deliver a community centre that our community deserves. Although none of us are happy with the increase in housing, it is a credit to you all that Moulton remains such a popular place to live. This is down to the unique sense of community that exists here. We are so lucky to have the quality and quantity of volunteers running our community groups and organisations that provide such a rich and varied mix of activities that make Moulton the vibrant place it is. To view the Community Centre plans, please visit Moulton Parish Council website. Extract from The Parish Council Chairman piece in the Autumn 2015 Moulton Scene. As you know the Parish Council has been searching for a suitable site for a new community centre for the last 10 years and plan to build it on the land at Sandy Hill Lane. Several of my past reports have referred to the progress made so far. The current village hall is inadequate to meet the needs of the community, now and in the future. 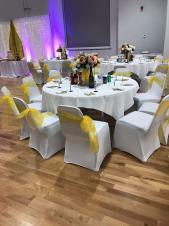 A new centre is needed that can provide facilities for community groups and a professional venue that can be used for corporate events, birthday parties, weddings etc. A venue with its own bar is essential. Current daytime use is severely limited due to no available parking. Adequate off road parking is also needed to prevent disruption to nearby residential properties. The Community Centre scheme includes space for a new library, two halls for hire, including a dedicated room for playgroup use, café, youth room, parish office and further office space with sufficient parking to accommodate multiple use at any time and maximise building usage. The building has been carefully designed to be in use seven days each week, with little conflict between the uses e.g. library and offices closed when a large function, i.e. 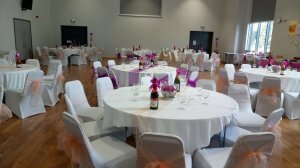 wedding, is booked and playgroup and library open with community group users hiring the hall space. It is expected that once the new community centre is built, community groups and organisations currently using the present village hall in Moulton will transfer to the new centre and with the addition of the café, library and playgroup will create a vibrant and thriving community base for existing and new residents. Discussions are currently taking place with numerous service providers to offer additional support and specialised health and wellbeing services for residents. Moulton is already experiencing a significant amount of housing development within the parish and the adjacent Northampton North Sustainable Urban Expansion will have an enormous impact on the community. The early delivery of this centre will ensure that a significant proportion of community infrastructure is provided to meet the demands of an expanding population. It is anticipated that the centre will be in place and ready to offer a wide range of services and facilities to existing and new residents by the end of 2016, ensuring that Moulton remains a sustainable community. The site adjacent to the new community centre will be developed and used for a complementary community facility. The new health facility sited on the adjoining 'Marsh Spinney' development will complete the community hub catering for existing patients and the anticipated increase of the patient list of Northampton North residents. Moulton library will transfer to the new community centre. The present library currently accommodates 2000 visits per month. The present building is not fit for purpose, has no allocated parking and anyway has been sold off. A new larger site within the community centre will enable the library to extend its opening hours and provide services for Moulton. 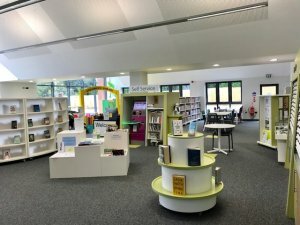 The current library runs a vast selection of groups and events and a purpose built facility would enable the library service to promote NCC priorities by providing health and wellbeing events in partnership with Northants Teaching Primary Care Trust. 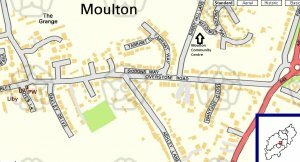 In 2008 Moulton Parish Council worked with Daventry District Council to provide a 'DDC Outreach' Office for residents in Moulton and the surrounding villages. The Moulton Information Centre opened in September 2008 and very quickly became the busiest Outreach Centre in Daventry District. Unfortunately, due to budget cuts, the Information Centre was closed in 2012. With Moulton ward at the very edge of Daventry District it is hoped to provide this invaluable service again in the new premises. Moulton has various Mums and Tots groups and several private Day Nurseries. Approximately 49 0-4 year olds will be generated from the developments in Moulton parish, combined with existing pre-school children in our parish, means a dedicated playgroup is needed to fulfil the demand for early years provision and our new centre can provide premises for this to be organised. The floor in the main hall is being carefully chosen so that activities such as table tennis, badminton, martial arts and short mat bowls will be able to take place in the centre. 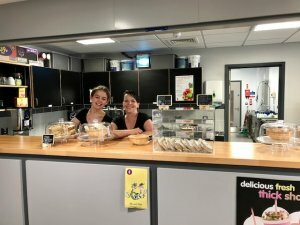 It is hoped that the local clubs who have moved away due to the closure of Moulton Sports Complex will return to Moulton once we are able to offer bar and café facilities. The parish church wishes to be very involved with the community centre and is interested in running the Café and also taking on a part let on one of the rooms to provide a youth room in the evenings. 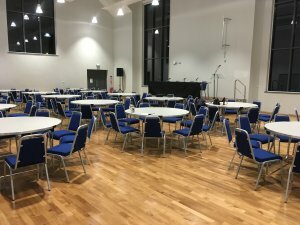 The church currently runs various youth groups but needs additional space to extend their youth activities to provide new youth groups and services. The café will provide a focal point at the Sandy Hill Community Hub. Here, we wish to see luncheon clubs, local groups, young and elderly making full use of our facilities and as a daily meeting place. 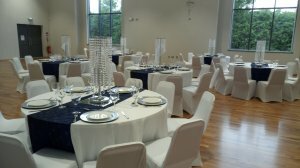 Revenue to support the hall will come from hire of the halls and offices, lease agreements for office space and the additional community facility building. The build cost has been estimated at £2.4m. We are currently in negotiations with NCC Library Service to provide a long term lease for the library in return for £400,000 towards the capital build. Also through negotiations with developers, we have managed to secure £1.8m (to date) towards the build of the centre via S106 monies. We continue to investigate all avenues of grant funding and lease arrangements to support the build and maintenance of the centre. These monies will be paid to us over a period of approximately ten years when certain 'triggers' are reached on each development. 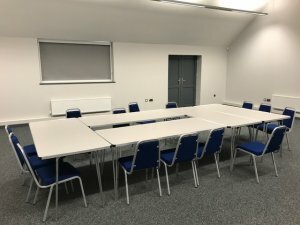 In order to provide this new facility sooner rather than later, Moulton Parish Council has taken the decision to take out a loan to deliver the building next year so it can be available for everyone to enjoy the new, purpose built facility. We have received advice from Senior Finance Officers at Daventry District Council and from the Northamptonshire County Association of Local Councils as to how to finance the build. Tenders have been invited for the project management of the centre's build and by the time you read this we will have appointed Project Managers. Lease agreements are in the process of being agreed, and discussions begun over the many services at the new community centre. A Public Works Loan Board has been applied for and will cover the cost of the build. As a consequence residents will see a rise in the council tax portion paid to Moulton Parish Council next year. (This year saw a 4.3% decrease on council tax.) As the S106 monies begin to be handed over to the parish council, these monies will then be used to repay the loan. At this time it is impossible to calculate the raise in precept per household as the figures are calculated in January. The calculation will be based on how many properties are in the village, how many elderly residents we have and how many households we have claiming council tax discounts. In order to charge the accurate amount the process of this sum is carried out as near to the end of the financial year as possible. We are working with all the developers in the parish who supply us with the actual number of occupations each month and projected occupations for the following so we have exact numbers to work with. We will have a far clearer picture later in the year and will share that with you in the next Moulton Scene.